“You have to listen to customers, companies that don’t listen to customers fail,” Bezos told Charlie Rose in a 2000 interview, providing an early hint at Amazon’s passion for surveillance. 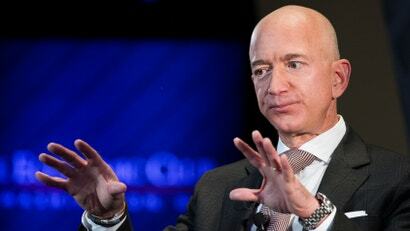 “You need to listen to customers,” said Bezos in a video to Zappos employees in 2009. “But they won’t tell you everything,” he added, a bug Amazon has clearly been working on since. “You listen,” said Bezos when asked by Michael Lewis how he deals with critics last year, a response that personally brings me great comfort and relief. “Much of what we build at [Amazon Web Services] is based on listening to customers,” wrote Bezos in a shareholder letter published just today, referring to the cloud computing platform that powers much of the web and also Amazon’s dystopian facial recognition software.